Das Rundfahrschiff aus der italienischen Produktion entwickelte sich zu einem Megaseller in dieser Dekade. Dem Trendgeschäfte folgten bald Variationen wie Kontiki von Zierer (D), Disk'O ebenfalls von Zamperla (I), Skateboard von Fabbri (I) und jüngst Swing It von KMG (NL). http://www.zamperla.it/ Set sail for adventure on the latest innovative family ride from the creative minds at Zamperla. Combining a unique combination of rocking and whirling motions, the Rockin� Tug can accommodate up to 24 riders per cycle for a theoretical capacity of 600 passengers per hour. Available in both park and trailer models, the Rockin� Tug adds flash and color to any park or carnival. The trailer mounted Rockin� Tug comes racked on a single 28� fifth wheel trailer. 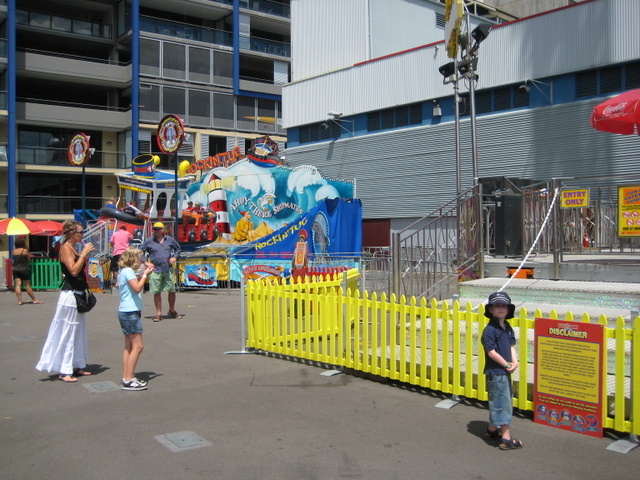 The Rockin� Tug was award the Best New Family Ride at the 2002 IAAPA convention. http://www.funworldmagazine.com/2005/august05/features/business_of_fun/busfun.html Zamperla maintains a list of around 25 rides in development but focuses on only five or six at a time; the company hopes to see that number increase as it moves forward. The Rockin� Tug, by the way, went on to sell more than 100 pieces in the aftermath of Sept. 11, helping Zamperla beat back the eco­nomic crisis that swept through the amusement industry. Wir wollen mal zusammenstellen, wo man überall auf diese rockende Schiffe treffen kann. Beech Bend ? (Kentucky, USA) Rockin' Tug 200? Flamingoland Malton (Großbritannien) Rockin' Tug 2006? Santa's Village Jefferson, NH (USA) The Peppermint Twist ? 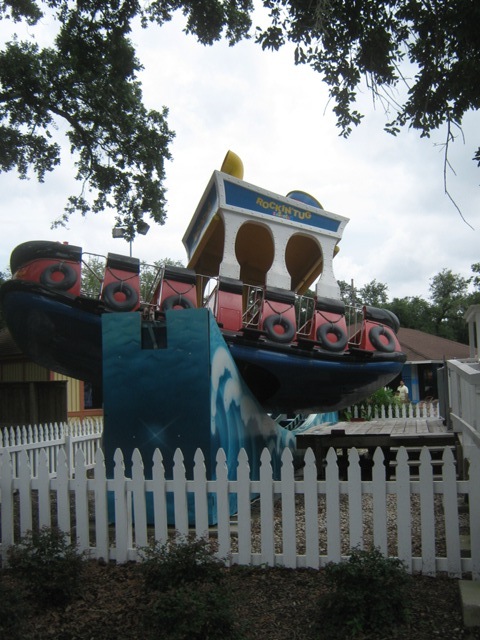 Six Flags New England Agawam (Massachussettes, USA) Captain Feathersword�s Rockin� Pirate Ship 200? Vidam Park Budapest (Ungarn) Hullam Hajó 200? WaterLand Neeltje Jans ? (Holland) ? 200? American Travelling Shows ? (USA) Rockin' Tug 200? Better Amusement Hire ? (Australien) Rockin' Tug 200? Farrow Shows ? (USA) Rockin' Tug 200? Mighty Bluegrass Shows ? (USA) Rockin' Tug 200? Murphy Brothers Exposition ? (USA) Rockin' Tug 200? Shamrock Shows ? (USA) Rockin' Tug 200? Torfs, Marc ? (Belgien) Rockin' Tug 200? ... to be updated and continued! Rockin' Tug ist auch der Name des Fahrgeschäfts im Flamingo Land. Das Flamingo Land ist in Malton. Edit: Die Anlage im Toverland ist ein Kontiki von Zierer. Beech Bend liegt in Bowling Green. Six Flags over Georgia in Austell. WaterLand Neeltje Jans in Vrouwenpolder. Ich meine die Anlage befindet sich in Drayton Manor (Tamworth). Sie heißt Jolly Rogger und ist meiner Meinung nach von Zamperla. Hier auch noch ein Pic. Griffins Galleon's steht ja in Chessington WoA (Chessington). Sie ist ein Zierer - Kontiki. Hier ach noch ein Pic. Pyramid Shaker @ Habtoorland (Libanon) zugefügt. Marais Enchanté @ La Ronde (CAN) hinzugefügt. Tegetthoff @ Wiener Prater (A) hinzugefügt. Diese Anlage steht im Century Park, Shanghai. 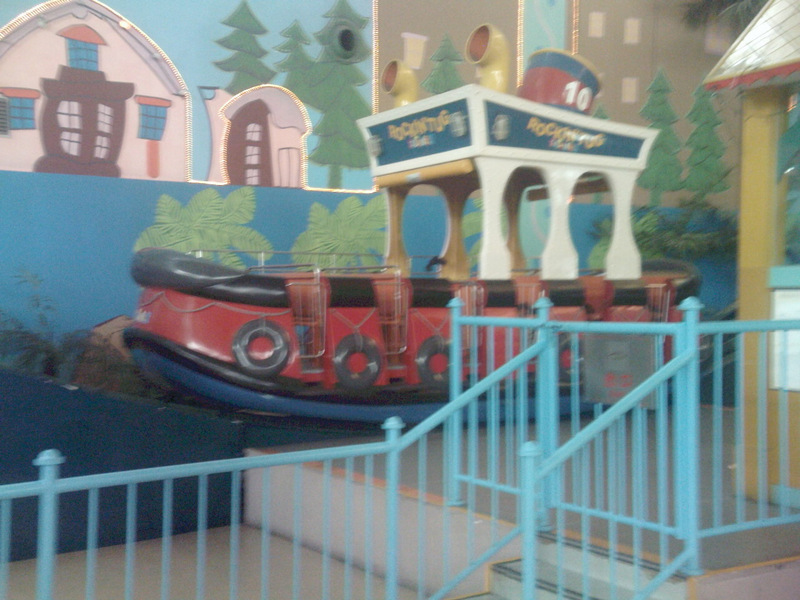 Captain Feathersword’s Rockin’ Pirate Ship @ Six Flags New England (Agawam, Massachussettes (USA)) hinzugefügt. S.S. Kenny @ Kennywood (West Mifflin (Pennsylvania, USA)) hinzugefügt. Rockin Tug von Schäfer aus Wipperfürth. Beim Exemplar von Dieter Schaefer (Mit AE bitte nicht mit Ä) es die besonderheit gibt, das dieses Exemplar von Marcel Lutz geliefert wurde und nicht von Zamperla. K-Loop Rockin Tug von Schäfer aus Wipperfürth. Hier und mit den Daten aus dem zitierten und den beiden Folgepostings ergänzt. The Peppermint Twist @ Santa's Village (USA) hinzugefügt. onride.de (Version 4.2356 vom 09.04.2019) . Impressum . Portal . . . Serverzeit 0.58s - Ladezeit wait - 110 Abfragen - Fläche ?